I’m looking forward to Natalie and Adrian’s wedding in a little less than two weeks – they are going to do something a little different. In the meantime, we journey back a couple of weeks to a sunny Saturday afternoon when I met them for an engagement portrait shoot around London’s Primrose Hill & Regents Canal near Camden. Making use of the shade of the bridge gave me chance to shoot into the light and discuss their wedding ceremony plans. 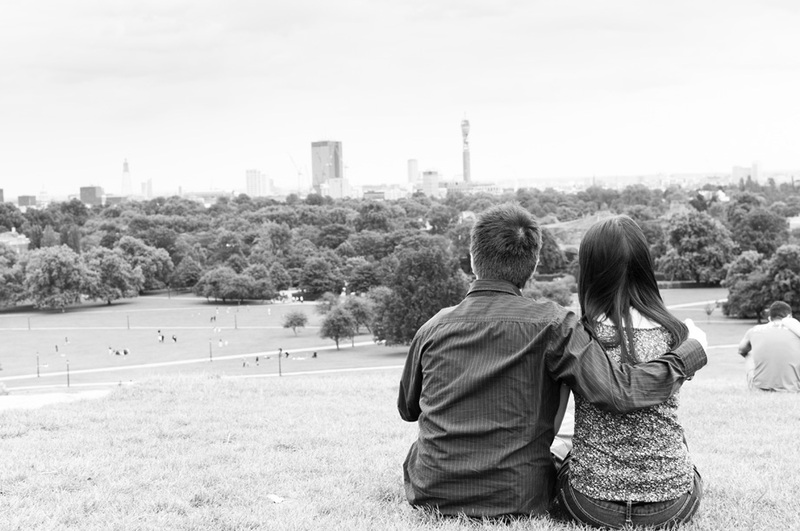 No trip to Primrose Hill would be complete without stopping to admire the London skyline. But the sun drove us into some shade and some time for some reflection. and there was just time for one last doorway before heading back to the pub to finish up our wedding planning discussions.